Pepperdine University will host commencement ceremonies for the School of Public Policy, Graziadio Business School, Seaver College, School of Law, and Graduate School of Education and Psychology on the Malibu campus throughout April and May. The ceremonies will feature a robust lineup of speakers who will address the graduates as they embark on the next chapter of their lives. 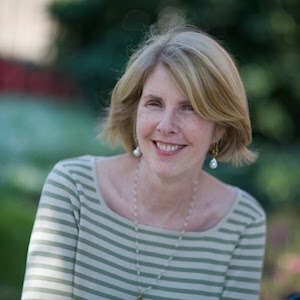 Sally C. Pipes is president and chief executive officer of the Pacific Research Institute, a San Francisco-based think tank founded in 1979. Pipes addresses national and international audiences on healthcare and has been interviewed on CNN, Fox News, MSNBC, 20/20, Dateline, The Dennis Miller Show, The O’Reilly Factor, The Today Show, and other prominent programs. She was featured in the special one-hour Fox documentary, Live Free or Die in New Hampshire, which focuses on the importance of innovation in the pharmaceutical and medical device industries. She writes a biweekly healthcare column, “Piping Up,” for Forbes.com. Her healthcare opinion pieces have appeared in The New York Times, The Wall Street Journal, The Washington Post, and USA Today. She has published widely on the Affordable Care Act and published her latest book, The Way Out of Obamacare, in January 2016. Pipes served as one of mayor Rudy Giuliani’s four healthcare advisors in his bid for the Republican presidential nomination in 2008. She has participated in prominent public forums, testified before the House Energy and Commerce Committee, House Oversight Committee, Senate HELP Committee, and the California, Maine, and Oregon legislatures. Pipes also participates in key radio shows nationwide, including The Dennis Prager Show, The Jerry Doyle Show, and The Lou Dobbs Show. She received the Roe Award at the 2004 annual meeting of State Policy Network. In 2005 Human Events named her one of the “Top 10 Women in the Conservative Movement in America.” She was also featured in a new book, Women Who Paved the Way, as one of 35 most outstanding women in business in the nation. Pipes is the founder and chair of the board of the Benjamin Rush Institute, a Federalist Society-type organization for medical students across America. 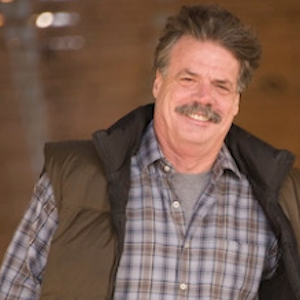 Mike McCloskey is the cofounder and chief executive officer of Select Milk Producers, one of the largest milk cooperatives in the United States. McCloskey also serves as the chair of the board for Fair Oaks Farms, an agriculturally-based operation in Indiana, which also brands and processes its own gourmet cheese, ice cream, and milk. He founded the Southwest Cheese Company, where he serves as chair. The largest cheddar cheese plant worldwide, the Southwest Cheese Company is a joint venture between Select Milk Producers, Glanbia Foods, and Dairy Farmers of America. McCloskey is an officer and board member of the National Milk Producers Federation. 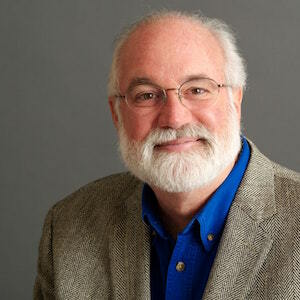 He is the chair of the Sustainability Initiative of the Innovation Center of US Dairy, and a member of Rework America. McCloskey attended the University of Mexico, where he earned his doctorate of veterinary medicine in 1976. He later attended the University of California, School of Veterinary Medicine, in Davis, California, where he completed a two-year post-doctoral program in dairy production medicine. He received the Alumni Achievement Award from the University of California School of Veterinary Medicine. Gregory J. Boyle is the founder and executive director of Homeboy Industries in Los Angeles, the largest gang intervention, rehabilitation, and reentry program in the world. A native Angeleno, Boyle entered the Society of Jesus (the Jesuits) in 1972 and was ordained a Catholic priest in 1984. In 1986 he was appointed pastor of Dolores Mission Church in the Boyle Heights neighborhood of East Los Angeles. At the time, Dolores Mission was the poorest Catholic parish in the city, located between two large public housing projects with the highest concentration of gang activity in Los Angeles. He witnessed the devastating impact of gang violence on his community during what he has called “the decade of death” that began in the late 1980s. By 1988, having buried an ever-growing number of young people killed in gang violence, Boyle, Dolores Mission parishioners, and Boyle Heights community members sought to address the escalating problems and unmet needs of gang-involved youth by developing positive opportunities for them, including establishing an alternative school and day care program, and seeking out legitimate employment. They called this initial effort Jobs for a Future. In the wake of the 1992 Los Angeles riots, Jobs for a Future and Proyecto Pastoral, a community-organizing project started at Dolores Mission, launched their first social enterprise business in an abandoned bakery that Hollywood producer Ray Stark helped them purchase. They called it Homeboy Bakery. Today, Homeboy Industries employs and trains former gang members in a range of social enterprises, and provides critical services to 15,000 men and women who walk through its doors every year seeking a better life. An accomplished community leader, Boyle is the author of the New York Times best seller Tattoos on the Heart: The Power of Boundless Compassion, which was named one of the Best Books of 2010 by Publishers Weekly and received the PEN Center USA 2011 Creative Nonfiction Award. He is the subject of the Academy Award-winning documentary, G-Dog. He has received the California Peace Prize and been inducted into the California Hall of Fame. In 2014 the White House named Boyle a Champion of Change. He received the 2016 Humanitarian of the Year Award from the James Beard Foundation, the national culinary arts organization. Boyle holds a bachelor’s degree in philosophy and English from Gonzaga University, a master’s degree in English from Loyola Marymount University, a Master of Divinity degree from the Weston School of Theology, and a Master of Sacred Theology degree from the Jesuit School of Theology at Berkeley. 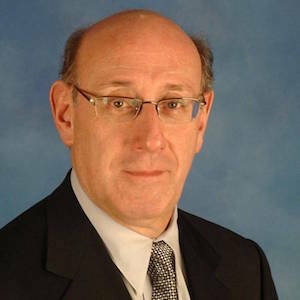 Kenneth Feinberg is an American attorney specializing in mediation and alternative dispute resolution. Feinberg was appointed special master of the US government's September 11th Victim Compensation Fund and served as the special master for the Troubled Asset Relief Program’s Executive Compensation. He most recently served as the government-appointed administrator of the BP Deepwater Horizon Disaster Victim Compensation Fund. 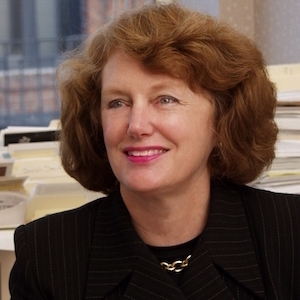 Feinberg worked for five years as an administrative assistant and chief of staff for US senator Ted Kennedy and as a prosecutor for the US attorney general. Before founding his own firm, The Feinberg Group (now Feinberg Rozen, LLP) in 1993, he was a founding partner at the Washington, DC, office of Kaye Scholer, LLP. He has served as court-appointed special settlement master in cases such as Agent Orange product liability litigation, asbestos personal injury litigation, and diethylstilbestrol cases. Feinberg was one of three arbitrators who determined the fair market value of the Zapruder film of the Kennedy assassination and was one of two arbitrators who determined the allocation of legal fees in the Holocaust slave labor litigation. He currently serves as chair of the board of directors for the John F. Kennedy Library Foundation. Feinberg has taught at Columbia Law School, University of Pennsylvania Law School, Georgetown University Law Center, New York University School of Law, University of Virginia School of Law, and Benjamin N. Cardozo School of Law. He earned a Bachelor of Arts degree from University of Massachusetts Amherst in 1967 and a Juris Doctor degree from New York University School of Law in 1970. 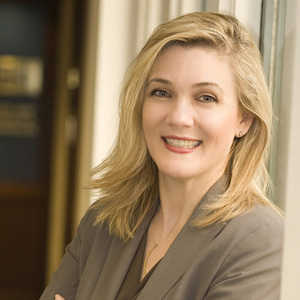 In March 2005, Elise Buik made history by becoming the first female president and chief executive officer of United Way of Greater Los Angeles (UWGLA). After seven years as marketing manager for a medical software company, Buik joined UWGLA in 1994 with a strong belief in the organization and a deep dedication to improving the quality of life in Los Angeles County. Starting in the marketing department, Buik worked her way up through the ranks with long hours and a steadfast commitment to addressing the city’s social and economic challenges. Buik has been instrumental in transforming UWGLA into a community impact organization that identifies social issues, convenes experts, partners with other organizations, and crafts innovative solutions and policy. Under her leadership, UWGLA launched its strategic 10-year action plan, Creating Pathways Out of Poverty. The plan focuses on three critical issues: ending homelessness by providing housing stability, improving educational achievement, and helping families gain financial stability. Her other roles include working with the City of Los Angeles Workforce Investment Board, a senior fellowship at the UCLA Luskin School of Public Affairs, membership on the advisory board of USC Sol Price School of Policy’s planning and development Master of Public Administration program, and the boards of the Los Angeles Area Chamber of Commerce and Southern California Grantmakers. Buik was honored with the 2009 Nonprofit CEO of the Year Award from the Los Angeles Business Journal, the Leadership Award at Peace Over Violence’s 37th annual Humanitarian Awards, and the Nonprofit Leadership and Responsibility Award at the 28th annual Edmund G. “Pat” Brown Institute of Public Affairs Awards Dinner. Kay Reified Jamison is a psychologist, psychiatrist, and writer. Her work focuses on bipolar disorder, a condition which she has dealt with personally since her early adult years. Jamison is a professor of psychiatry and behavioral sciences at Johns Hopkins University, as well as an honorary professor of English at the University of Saint Andrews in Scotland. As one of the nation’s most popular writers of material examining manic-depressive illness, Jamison has written several books and articles detailing the complexities of, and ways to work through, mental illness. Her writings have helped patients diagnosed with mental illnesses and raised society’s awareness about these issues. She has won numerous awards for her written works. One of Jamison’s most notable books, An Unquiet Mind, allows patients to read for themselves how destructive it can be for them to not take their medication. The book describes the healing power of structure, psychotherapy, and a social network. It affirms to patients that they are not alone and illustrates that the diagnosis need not have too much of a negative impact on their lives. Jamison embarked on her study of clinical psychology at UCLA, where she earned both bachelor’s and master’s degrees. She continued on to earn a PhD and later joined the UCLA faculty. Jamison founded and directed UCLA’s Mood Disorders Clinic, a teaching and research facility for outpatient treatment. She went on to the University of Saint Andrews to study zoology and neurophysiology. After many years of teaching at UCLA, Jamison became a professor of psychiatry at Johns Hopkins School of Medicine.